Underfoot, embedded through the Dundas Roncesvalles Peace Garden, 24 dark granite pavers engraved with words, images or phrases mark “The Peace Path”, laid amongst lighter pavers. These designs are the product of the first permanent, co-operative, arts project between a community in Toronto and the descendants of the Anishinaabe leaders who made treaties with the British respecting the land now called Toronto, beginning in 1787. They are the Mississaugas of the New Credit First Nation, our founding First Nation, whose reservation lies south of Hamilton, adjacent to Six Nations, near Hagersville. 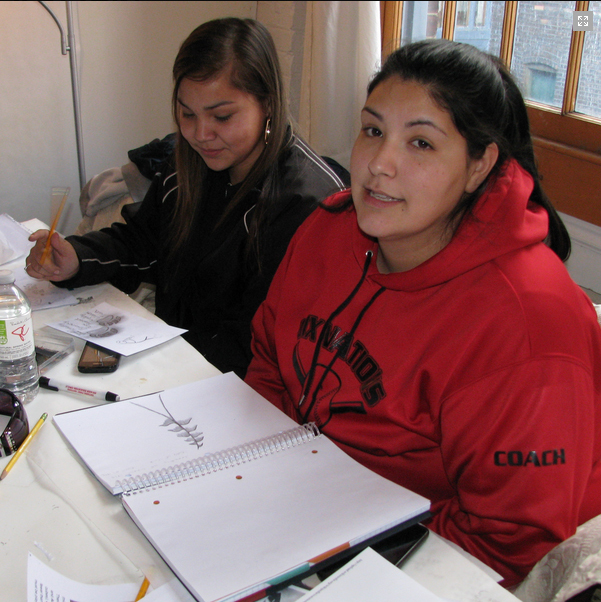 Junior and senior artists of both communities met for friendly mixers and workshops. 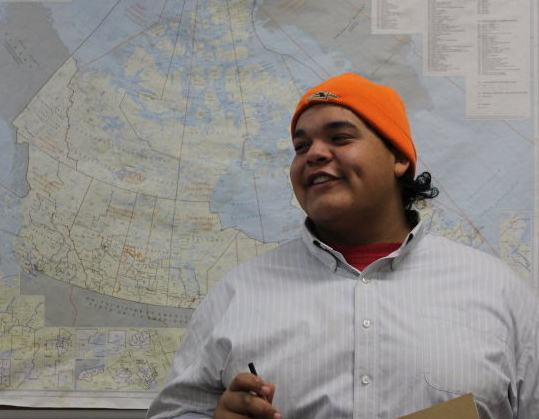 They took inspiration from presentations by community historians from both communities. Senior artists guided their work. The choice to engage young people was deliberate. The future belongs to them. 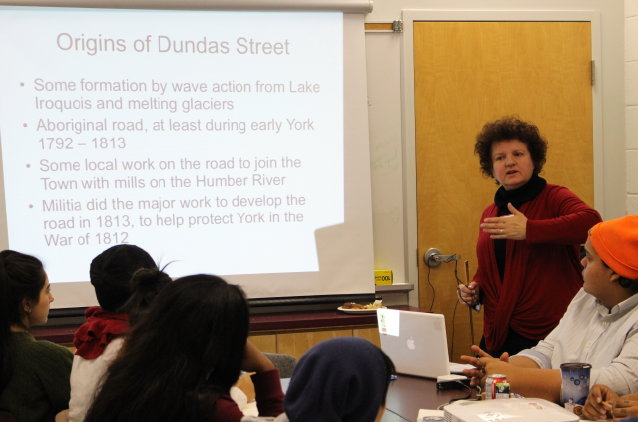 Youth were invited to reflect on the indigenous heritage of Dundas Street: the different aims of indigenous nations as compared to the British and local settlers fighting in the War of 1812. It was news to many that First Nations were fighting for a homeland protected from growing numbers of settlers. The stories were told of how the homeland promised by General Brock to the great indigenous coalition leader Tecumseth, never came to be. Although the land of Canada remained in British control, in the years following the War, Toronto increasingly separated from its founding First Nation. Anishinaabe ancestors were not allowed to keep their village at the Credit River. In learning this history, the young artists recognized how these events influenced present realities. The experience brought forward the need to respect heritage as a way to envision a better future, a future that today’s young people will create and live in. Their designs, laid in a living garden, intertwine respect for heritage with new relationships between residents of Toronto and our founding First Nation, and the need to care for the earth. These young artists symbolize equality, courage, hope, and promise, all good foundations for true and lasting peace. With advice from Lois Dellert, Krista Delbaere, Deeter Hasenteufel, Ian Lazarus, Veronica Feihl, Abby Bushby designed the program, wrote the project papers and secured funding. Active and continuous support from community partners Bishop Marracco / Thomas Merton Secondary School (TCDSB), the Mississaugas of the New Credit First Nation, Roncesvalles Village Historical Society, Romero House, The Horticultural Societies of Parkdale & Toronto, plus major funding from Roncesvalles Village BIA, as well as the City of Toronto through its Economic Development Department and Section 37 funds, ensured the viability of this community arts project.